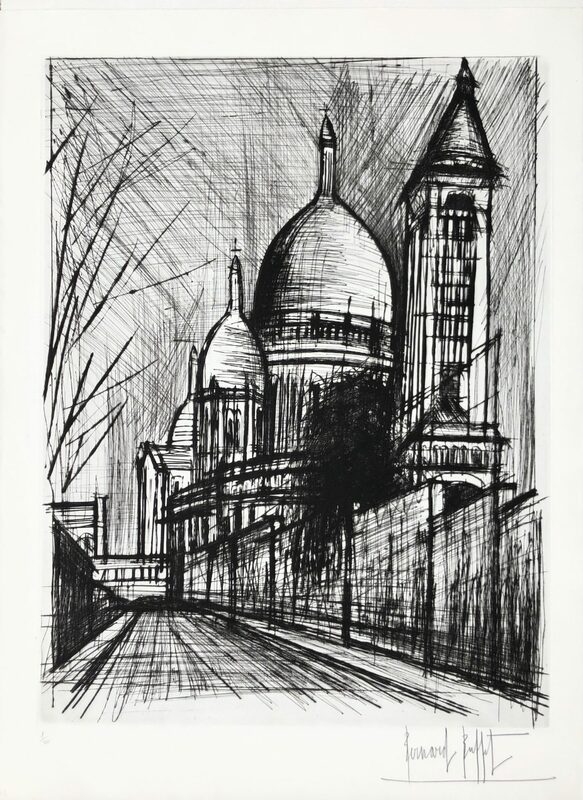 Bernard Buffet, Le Sacre-Coeur de Montmartre is an original etching on Rives BFK paper. 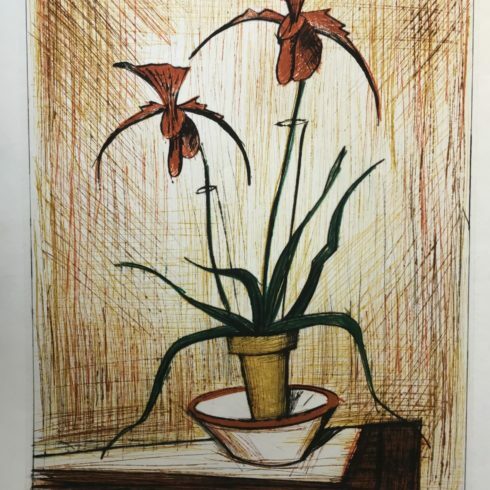 This print is signed in the lower right and numbered in the lower left. Printed by Atelier Lacouriere et Frelaut. Rheims 63. Le Sacre-Coeur de Montmartre is defined by “dry” straight lines revealing the shape of buildings. 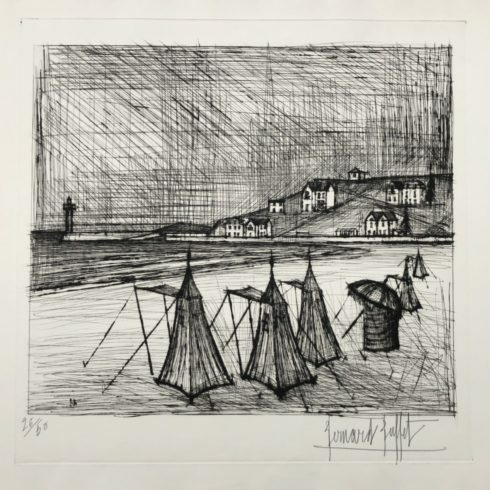 Buffet’s buildings in this print depict elongated structures that depict loneliness and despair. He exhibits Paris in a lifeless manner. 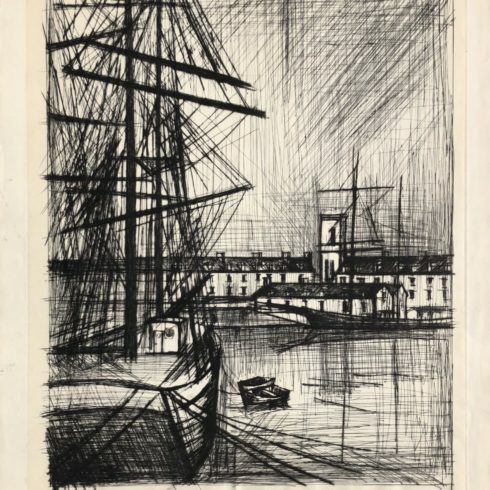 While predecessors like Renior and Caillebotte used rain and stippled light to give beauty to each Parisian world they depicted, Buffet shows us the grace in the city’s structure, relying on the importance of drawing, the basis of all great work. Le Sacre-Coeur de Montmartre defined by “dry” straight lines revealing the shape of buildings. 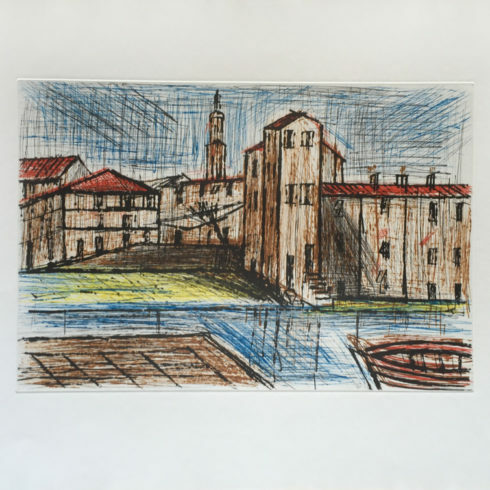 Buffet’s buildings in this print depict elongated structures that depict loneliness and despair. He exhibits Paris in a lifeless manner. 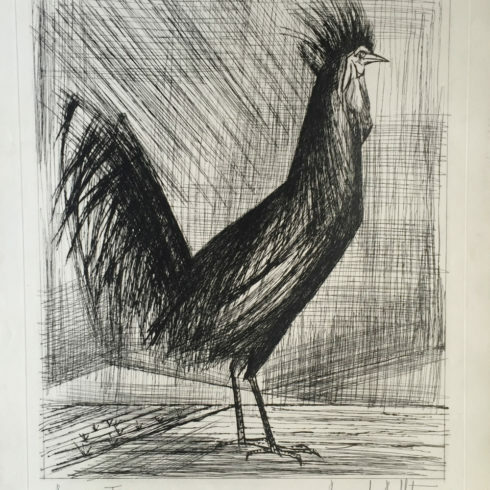 While predecessors like Renior and Caillebotte used rain and stippled light to give beauty to each Parisian world they depicted, Buffet shows us the grace in the city’s structure, relying on the importance of drawing, the basis of all great work. 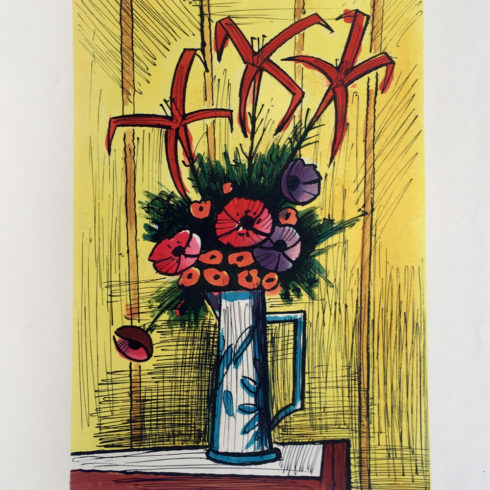 Buffet was born in Paris in 1928 and grew up during the Nazi occupation, enduring the war and years of deprivation, and the experience inspired much of the glum imagery in his work. 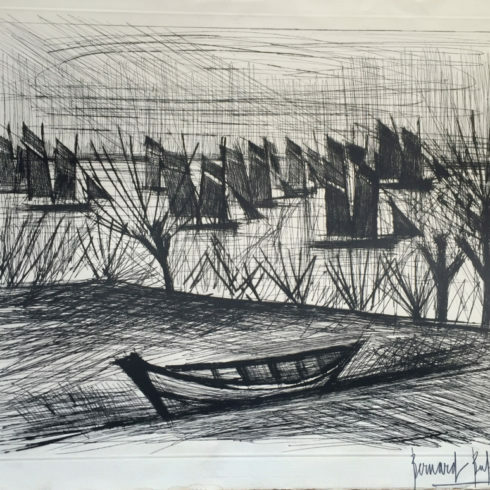 He excelled in painting and drawing, winning prestigious prizes and attracting attention with a signature style recognizable by thick, angular black lines that outlined his somber themes.